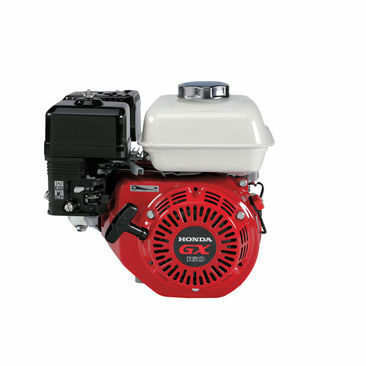 The Honda GX Engine range has been one of the most popular engine on the market in the power equipment industry for years. The GX160 can run a range of things such as construction equipment, pressure washers, tillers, cultivators, generators and garden equipment. While also being used for water pumps and Go Karts. The GX160 has a camshaft design that offers the precise valve timing and optimal valve overlap for better fuel efficiency from your GX160, complimented by its high compression ratio for better fuel efficiency again than its competitors. Drawing on Honda's decades of engineering experience in its OHV construction producing optimal power when it is needed the most. The GX160 is equipped with a ball bearing-supported crankshaft and precision engineered components. 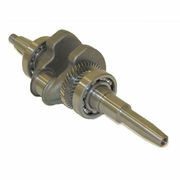 Resulting in greater stability and lower vibration for your machine. It's lightweight design and noise reduction material accompanied by the steel crankshaft and rigid crankcase provides an extremely quiet engine. Even while you get get a large capacity, multi-chamber exhaust system. The GX160 also have dual oil drains for easy access, a larger fuel tank for longer use in between fill-ups and an easy accessible spark plug finished off with a heavy duty starter. 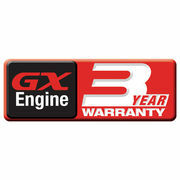 The GX160 engine range also comes with 3 year warranty provided by Honda, dealer wide! The cast iron sleeve protects the engine form where and tear expanding its lifetime and makes future rebuilding a worth while task. 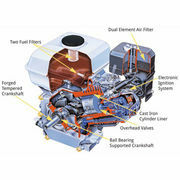 The ball-bearing supported crankshaft provides the engine with greater stability and less vibration. The Honda 3 year warranty on GX160 engines is huge in the standstill engine industry, showing you that Honda will back their product in for the long haul and so should you!